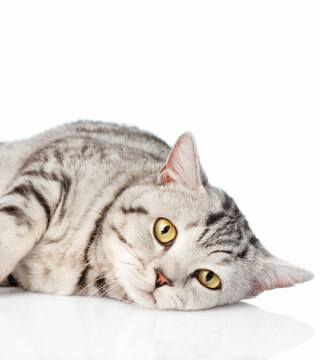 Lumps underneath the skin do not always indicate cancerous tumors in cats. It is also possible to find what seems like the symptoms described above without the presence of cancer. Therefore, if your cat is exhibiting any of these symptoms, we recommend making a veterinary appointment immediately and avoiding the urge to make your own diagnosis. Only your veterinarian can accurately diagnose cat cancer or another potentially dangerous illness or condition that might be developing in your feline friend. The first key to cancer treatment for cats is the proper diagnosis. At Boca Park Animal Hospital, we begin with a full physical exam. We commonly look at blood work and when necessary employ the use of diagnostic imaging such as radiography or ultrasound. We will also perform needle aspirates, which is a form of biopsy where a needle is inserted into the tumor to collect cells for use in determining tumor type. This is a non-painful and minimally invasive method used for diagnosis. Some tumor types require a core biopsy for diagnosis. In certain cases, cancer specialists may be employed for further diagnostic testing such as 3D imaging to be part of our team in treating your cat's cancer.